Go head-to-head with an	icebreaker. Plunge down a twisting mountain gorge. Soar through the clouds in the nosecone of a jet, then speed along with a dog team across a frozen arctic lake. A sweeping tribute to Canada's stunning geography and rich cultural heritage, Momentum leaps off the screen - and touches your heart. 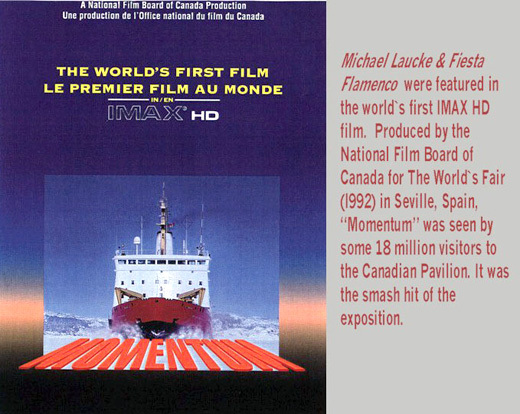 Momentum wowed audiences from around the world when it premiered at Seville, the greatest world's fair of the last quarter century. The first IMAX HD release, this stunning film shows you Canada, coast to coast, as you've never seen it before.